Legal aid lawyers have filed a constitutional challenge to Australia’s restrictive migration law and the legality of detaining asylum seekers transferred to the country from offshore camps for medical treatment or other temporary purposes. A hearing in Australia’s highest court is scheduled for Wednesday in the capital, Canberra. A decision is not expected immediately. Dan Nicholson, who oversees the migration program for Victoria Legal Aid, which filed the case, said a ruling could help clarify whether the Constitution allowed the Australian government to detain asylum seekers brought to Australia from the Pacific Island countries of Nauru and Papua New Guinea, and to define how long that detention could last. Under constitutional law, asylum seekers can be detained for “a reasonable period” for specific purposes, such as while they are being deported or awaiting visa approval. But Mr. Nicholson said some asylum seekers flown into Australia for medical treatment from offshore camps have languished for years in detention. The case, filed in the state of Victoria, involves an unidentified mother and daughter from Iran. They were transferred from Nauru to Australia for medical treatment in 2014. In Melbourne, the mother was treated for osteoporosis and the daughter for removal of a breast lump. They have both also been treated for health issues arising from their detention, including anxiety and panic disorder. They remained in detention for two years while they were being treated and were only released into so-called community detention, which allows for some freedom of movement but has curfews and other restrictions, after the first submissions in their case were filed. “The point is they are not brought here to have their refugee status determined,” Mr. Nicholson said. If the challenge to detention is successful, it would be mean those brought here for medical treatment from offshore processing centers — where Australia has been confining hundreds of asylum seekers intercepted at sea since 2012 — could not be incarcerated while being treated. Generally, only the most seriously ill asylum seekers are brought to Australia for medical attention. About 70 are in the country now. In 2014, an Iranian asylum seeker detained at Manus Island in Papua New Guinea died after developing severe sepsis from a leg infection. An inquest into his death last year found delays in transporting him to a hospital in Australia for treatment. Legal experts said the case was part of a broader effort to challenge the expansive powers the Australian government had given itself through successive changes to the Migration Act — the law regulating the government’s powers to make decisions relating to migration and asylum. Ben Saul, an international law professor at Sydney University, said the impact of the decision in the case would most likely be limited. Mr. Saul added that even if the Victoria Legal Aid case succeeded, its impact might not last long in the current political environment. 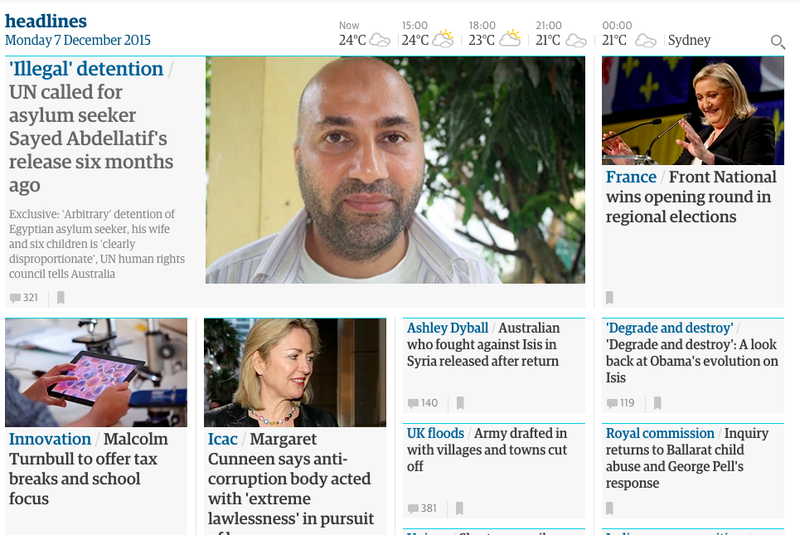 Front page of the Guardian Australia website. Exclusive: ‘Arbitrary’ detention of Egyptian asylum seeker, his wife and six children is ‘clearly disproportionate’, UN human rights council tells Australia. Sayed Abdellatif, an Egyptian asylum seeker falsely condemned as a terrorist by political leaders, should be immediately released from his “arbitrary” and “disproportionate” detention, which breaches international law, the UN has told Australia. Abdellatif, his wife and six children have been held in detention for more than three years without charge. In a seven-page formal communication sent in June and obtained by Guardian Australia, the UN’s human rights council – which Australia is seeking to join in two years – directed Australia to immediately release Abdellatif and his family. .
“Under international law Australia has a duty to release Mr Abdellatif, his wife and and their six children and accord them an enforceable right to compensation,” the council said. But Abdellatif and his close-knit family – his wife and children daily endure the trial of wristbands, metal detectors and reinforced doors to see their husband and father in the high-security wing of Villawood detention centre – have said compensation is far from their minds. Abdellatif’s detention has exposed consistent and wilful failings within several government agencies. Asio, the Australian federal police and the Department of Immigration and Border Protection have collectively displayed “a lack of coordination, a duplication of effort and a lack of urgency”, in handling the family’s case, Australia’s statutory inspector general of intelligence and security, Vivienne Thom, found. Abdellatif fled Egypt in 1992, having been tortured under the regime of Hosni Mubarak. He was arrested from a mosque by the state security investigations service as part of a crackdown on Islamic political opposition to Mubarak’s rule. He has remained in exile from his country since, living as a refugee in Albania, the UK, Iran, Iraq, Malaysia, Indonesia and – finally – Australia. All his children were born during that exile. His youngest, a five-year-old boy, has never lived a day free, only knowing life in detention in Indonesia and Australia. Abdellatif and his family arrived in Australia in May 2012. Australia assessed his claim for protection and found that he and his family had legitimate claims to refugee status. But while the family were in immigration detention in 2013 Australian authorities were alerted to an Interpol red notice that said that in 1999 Abdellatif was convicted – in a mass show trial in Cairo of 107 men – of premeditated murder, destruction of property, and possession of firearms and explosives. He was sentenced to 15 years in prison. The trial, criticised by rights groups at the time, was later found to have been fraudulent. Evidence against Abdellatif was obtained by “severe torture”, including electric shocks. But the case became the centre of a political firestorm when the red notice became known publicly. The opposition leader, later prime minister, Tony Abbott labelled Abdellatif a “convicted jihadist” and a “pool-fence terrorist”, in reference to the low-security fencing at the Inverbrackie detention centre in South Australia. George Brandis, now the attorney general but then shadowing that position, said he was “plainly a convicted terrorist”. The Abdellatifs were moved to the higher security Villawood detention centre in Sydney, where they have remained. Allegations of murder, firearms offences and property destruction were never made against Abdellatif at his Cairo trial and were wrongly attached to the Interpol red notice. After the Guardian’s investigation, which included examining the Egyptian court records and transcripts, Interpol took the extraordinary step of withdrawing those charges from the red notice. The remaining convictions against Abdellatif, for “membership of a terrorist group” and “providing forged travel documents”, relied on evidence obtained under “severe torture”. Abdellatif was convicted in absentia, without any chance of defending himself against the allegations. He has denied both charges in a letter to the Guardian. The Australian federal police were provided with evidence, in Arabic, that Abdellatif’s convictions for violent crimes were false, and had been withdrawn by Interpol, but took six months to translate the document – then failed to tell Asio or the immigration department of this new information. A report by Australia’s inspector general of intelligence and security said Abdellatif had not been convicted of any terrorism-related charges and made clear he was not a threat to national security. Scott Morrison, when immigration minister, defied the advice of officials from his own department, who had recommended Abdellatif be allowed to apply for a visa, and refused to allow Abdellatif to make an application. In June this year, the UN human rights council’s working group on arbitrary detention wrote to the Australian government: “The detention is clearly disproportionate … the deprivation of liberty of Mr Abdellatif, his wife and their six children is arbitrary,” it said. Guardian Australia has made repeated attempts to seek information about Abdellatif’s case from the immigration department. After promising to provide answers to a series of questions, it declined to comment. Abdellatif’s wife and family have previously been offered community detention but the family have consistently said they do not want to be separated from their husband and father. Nearly six months after the UN direction, and after more than three and a half years in detention, the Abdellatifs remain incarcerated – Sayed Abdellatif in the high-security wing of Villawood detention centre, his wife and children in the family compound. This year the department wrote to the family informing them that the immigration minister, Peter Dutton, had “lifted the bar” on their application for a protection visa. The family submitted a visa application in July, which has been acknowledged by the department as a “valid application”. But there has been no communication since. Abdellatif says he feels that his life and those of his children are being slowly destroyed by their continuing detention and separation. “It’s been six months since the Australian government received [the UN] report but they did nothing, they ignored it completely,” he said. Abdellatif said he was constantly frustrated in his efforts to communicate with the department. He believed it was embarrassed by its handling of his case. The human rights council is one of the UN’s most powerful bodies, mandated with “the protection and promotion of all human rights around the globe”. The foreign affairs minister, Julie Bishop, told Guardian Australia in September the government was “strongly committed” to a bid for a seat on the council for 2018-20. Australia will compete against Spain and France for two seats from its poli-geographic group in 2017. 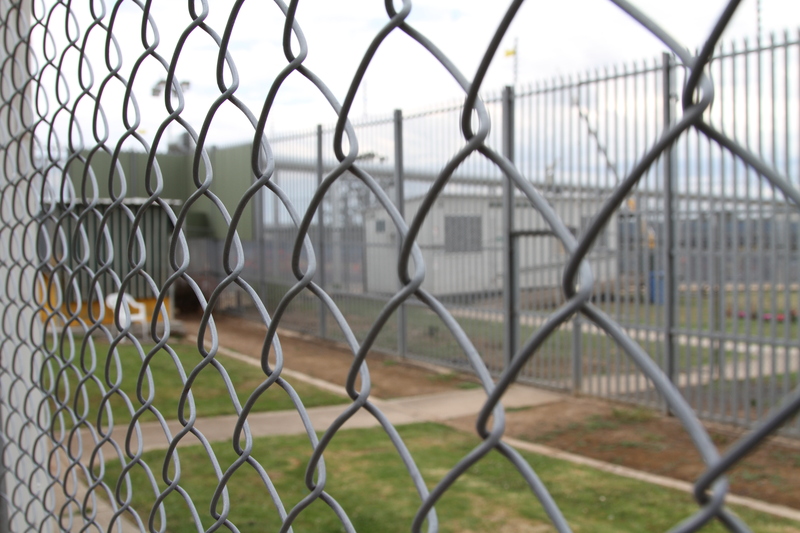 An asylum seeker at Villawood detention centre has set himself on fire and is in hospital with serious burns, sparking an investigation by the immigration department. The male asylum seeker sought protection in Australia along with his family in 2010 and now has six children including a two month old infant. The asylum seeker’s wife told Guardian Australia she was at a library with her children when she received a call about the incident. She said the immigration department has not provided her with further details about the incident or events preceding it. Her husband had been suffering depression since he was taken to Villawood in January 2015. He made a previous self-harm attempt while in detention. The family sought protection in Australia from the United Arab Emirates after arriving on a tourism visa by plane to Australia in 2010. They were refused a protection visa in 2010, and lost an appeal to the refugee review tribunal in 2011. The man was taken back into detention following an unsuccessful federal court bid. His wife and children were also taken to Villawood detention centre in June 2015, but were released so she could give birth to her sixth child. The family has exhausted most avenues of legal appeal for their protection claims in Australia. 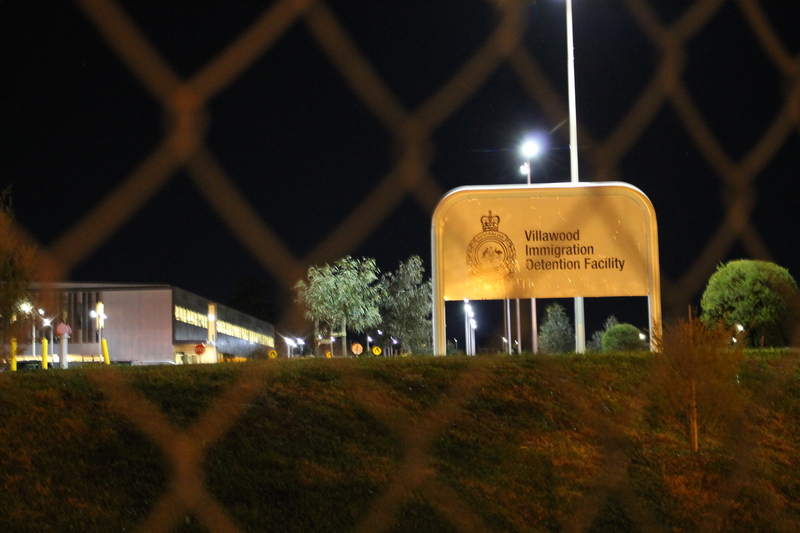 A spokeswoman for Department of Immigration and Border Protection said: “The department can confirm that a male detainee was taken to hospital yesterday 17 September 2015, following a self-harm incident at Villawood IDC. The incident is the second time a person held in immigration detention has set themselves on fire this week. On Tuesday Ali Jaffari, a Hazara man in Perth immigration detention centre, also set himself on fire and later died from his injuries. In May 2014 a Tamil asylum seeker, Leo Seemanpillai, self- immolated after spending 18 months in legal limbo. In Australia, the crisis support service Lifeline is on 13 11 14. Hotlines in other countries can be found here. This article was originally published in the Guardian. Read the original article here. My latest in ABC’s The Drum on the death of little Aylan Kurdi and government’s reaction to the Syrian refugee crisis. I haven’t reprinted the image- I think everyone has seen it already. Also here a great discussion on the debate around the publication of the distressing images. 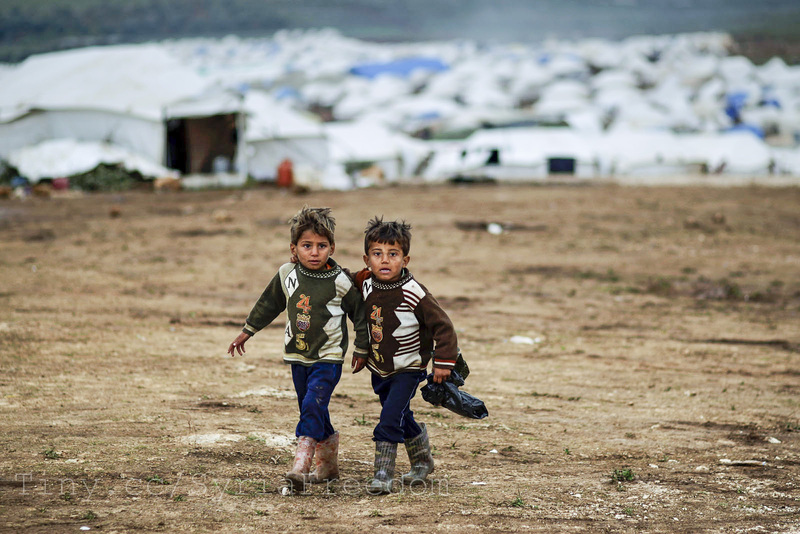 To donate check out Bina Shah’s excellent blog and her latest post- In memory of Aylan Kurdi where she has links to organisations you can support. The fact that the Government would pause in light of such a visceral tragedy to suggest that Australia should prioritise Christian refugees from Syria speaks volumes, writes Sarah Malik. It was the picture that shocked the world. A little boy lies face down on the beach. His still, lifeless body caressed gently by waves. His sandals are still strapped to his little feet. In his neat red shirt and little blue shorts, he could be sleeping or resting. A Turkish police officer stands to one side, his shoulders hunched as if in prayer. The discovery of Aylan Kurdi’s body on a Turkish beach last week cut a searing image in the conscience of the world. It tore through the ballast of politics, rhetoric and racialisation that continues to obscure one of the great humanitarian crises of modern times. The little boy who perished along with his brother Galip and mother Rihan, one of 12 Syrian asylum seekers trying to reach Greece when their boat sank, represents the many thousands seeking safety and asylum as their country is torn apart by war and conflict. The picture of the doll-like three-year-old on the beach has galvanised public opinion around the world, forcing even the Australian Government to outline its commitment to Syrian refugees. But the racialisation continues, with Barnaby Joyce calling for Syrian Christians to be prioritised in any asylum intake, a motion that has been echoed by Prime Minister Tony Abbott. 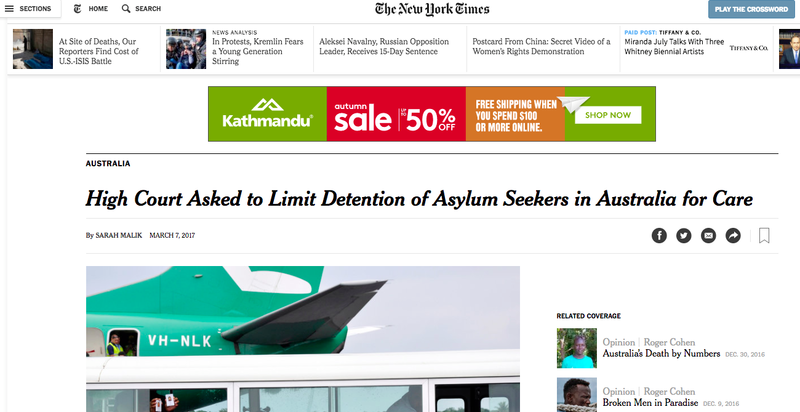 Australia was recently criticised in the New York Times for a military response to asylum seekers which is shrouded in secrecy. This has been combined with bizarre border security campaigns including thefarcical ‘Operation Fortitude’, a proposal quickly scuttled after widespread ridicule. The campaign purporting to subject Melbourne residents to random visa checks underscores a Government that will take advantage of any opportunity to represent itself as the strongman protecting us from the ‘illegal’ hordes threatening to destabilise Australia. The fact that the Government would pause in light of such a visceral tragedy, blasted into public consciousness in such horrific fashion, to make a subtle distinction on the kinds of Syrian asylum seekers it would be willing to consider is callous. It speaks to the depths it will go to in order to stoke fears of the brown Muslim hordes threatening our pristine white borders. It doesn’t take much to read between the lines of random visa checks and the prioritisation of Christians. People like us only, please. The image of Aylan underscores the vulnerability of those fleeing, their powerlessness in the face of a political and military machinery that punishes and paints them as threats. It is a powerful image that threatens the curtain of abstraction, silence and othering that has come to characterise the rhetoric around refugees. This otherising of refugees, the destruction of their humanity, allows travesties such as our detention regime, regularly exposed as rife with reports of sexual assault, violence, suicide and depression to continue with impunity. When it becomes a crime for employees to talk publicly about what happens in detention centres with the passing of the Border Force Act, when refugees live in fear of speaking to journalists, with access a constant issue, the result is an abstraction. It is an easy to demonise an abstraction. Aylan’s picture has blazed onto the soul of the nation the reality of the human. This child’s death must inspire us to look beyond categories of race and religion and towards a common humanity. The most powerful threat to an abstraction is the power of the singular. A child just like yours, with blue shorts and sandals. Not a Christian or Jew or Muslim, not Hindu, Buddhist, Sufi or Zen, Not any religion… first, last, outer, inner, only that breath breathing human being. This article was originally published on ABC’s The Drum (http://www.abc.net.au/thedrum). Read the original article here (http://www.abc.net.au/news/2015-09-07/malik-syrian-refugees/6755696). My latest feature in ABC’s The Drum. Feature: For many asylum seekers who experience a sense of hopelessness and isolation inside Villawood Detention Centre, Ramadan is a source of spiritual sustenance. It’s iftar time in Sydney’s Villawood Detention Centre. Plastic containers bursting with hummus, tabouli, garlic sauce and kebab snake their way through security and are picked up by hungry fasting asylum seekers in the visitor’s centre. In the open courtyard around 30 asylum seekers, mostly men, gather around tables piled with the food, exhaling plumes of smoke as they rub their hands together for warmth and wait for sundown. As Muslims around the world sit down to huge feasts at Ramadan surrounded by loved ones, it’s a lonely and fraught affair for asylum seekers inside Villawood. Asylum seeker Iqbal* says being away from family and friends has been tough. “It is very painful. Nothing is like home when it comes to Ramadan,” he said. Ramadan is a holy month for Muslims who abstain from food and drink during the daylight hours, with an increased focus on devotion and prayer. For many asylum seekers who experience a sense of hopelessness and isolation inside, Ramadan is a source of spiritual sustenance. “It is as important as seeing a mental health counsellor,” Iqbal said. He says many of the men who are reluctant to express themselves will openly cry during prayer. The asylum seekers are grateful for the delicious food delivered from outside, a welcome relief from the standard issue dinner. The nightly deliveries facilitated by the Lebanese Muslim Association are funded by a rotation of private donors from the Muslim community. Earlier in the month, food was not delivered because of limits around amounts allowed in, to be accompanied by a certain amount of visitors, Iqbal said. “Sometimes we asked why there is no food came today. We found out later they were stopped and refused entry,” he said. A LMA spokesperson said there were difficulties delivering food to the centre during the first few days of Ramadan. “By now after all this time they (authorities) should know about this (Ramadan),” he said. A recent rule change meant food was not allowed to be brought back into the private rooms of asylum seekers from the central visitors area, Iqbal said. The rule fuelled wastage as fasting asylum seekers struggled to finish their allocation in a short period. 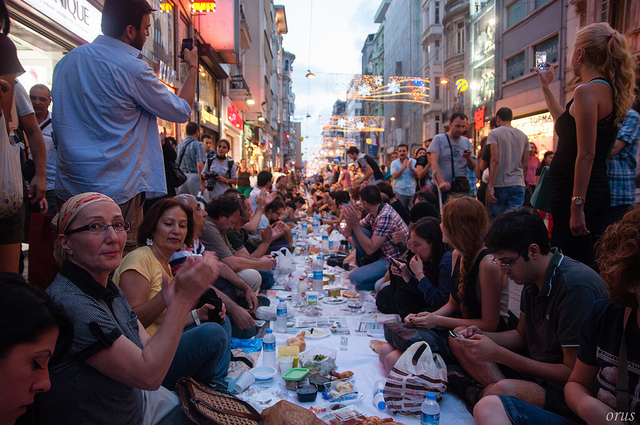 “(The idea being) we’ll let you bring in food but we won’t let you enjoy it,” Iqbal said. In the centre, the men munch the food in the cold before returning to their rooms for solitary prayer. Iqbal says a petition has been made for a room asylum seekers can gather in for congregational prayer. “To cope in this situation we need that. When they make us pray alone in our rooms, we feel even more lonely and the toll becomes hard on us,” he said. As night falls in Villawood, food containers are hastily packed as visitors say their final goodbyes and exit the mesh of wire and steel. For those remaining, there is hope that someone, somewhere is listening, hoping, praying. “We are the silenced ones. People don’t know about us,” Iqbal said. A copy obtained of Villawood detention centre general manager Susan Noordink’s response to an official complaint made by fasting asylum seekers says standard conditions are being enforced. “In regards to Ramadan food from the community, Islamic detainees have been advised that all standard conditions of entry will be in force,” Ms Noordink said. The statement also said arrangements will be made to facilitate prayer areas for asylum seekers. This article was originally published on ABC’s The Drum (http://www.abc.net.au/thedrum). Read the original article here (http://www.abc.net.au/news/2015-07-15/malik-ramadan-in-villawood/6621034). I have recently been working on a lengthy investigation with the The Guardian’s Ben Doherty on the continued detention of Egyptian asylum seeker Sayed Abdellatif. For those who aren’t familiar with the case, Abdellatif and his family attracted national media attention in 2013 when Tony Abbott, then in opposition dubbed him the ‘pool fence’ terrorist and slammed the Labor government of the day for failing to note that a ‘convicted jihadist terrorist was kept for almost 12 months behind a pool fence’. A Guardian investigation later exonerated him of all violence-related offences, dating back the Mubarak dictatorship era, contradicting claims Abdellatif was a security threat. I spent hours with Abdellatif and his family inside Villawood detention centre. The family who have been denied the right to apply for an Australian visa, remain in limbo. For the first time they speak about life in detention and reflections on being Australia’s most infamous detainees. We also reveal new documents which show evidence used to convict Abdellatif in an Egyptian military court – the basis for his indefinite detention in Australia – was obtained by torture. Check out the first instalment here with further updates and behind the scenes information on the blog. Evidence used to convict asylum seeker Sayed Abdellatif in an Egyptian military court – the basis for his indefinite detention in Australia – was obtained by torture, court documents state. The Egyptian father of six, falsely convicted in absentia of murder in a mass show trial that has since been discredited in his home country, remains in indefinite secure detention in Australia, despite the inspector general of intelligence and security finding he was not a threat to national security. The three most serious convictions against him were found to be false, and entirely discarded by Interpol, following a Guardian Australia investigation two years ago. Now, court documents state torture, including by electric shock, was used to gather false admissions on other charges against him. Abdellatif’s own father, forced to give evidence against his son more than a decade ago, has sworn before a Cairo court “my words regarding my son… are incorrect and were said due [to] compulsion and torture by investigating authorities”. Despite the new information, 44-year-old Abdellatif faces a lifetime of indefinite detention in Australia without charge or the prospect of release and sees only “a dark future”. “I will be ignored for years … they used my life and my family’s life as a game,” he told Guardian Australia. In his first interview from inside detention, Abdellatif spoke of the difficulties of being separated from his wife and children inside Sydney’s Villawood centre where they are all held. His six children, who must wear security wrist-bands to see their father, only want to lead normal lives, he says, lives where they don’t have to walk to school flanked by security guards. The Australian government has found Abdellatif and his family have a prima facie legitimate claim to refugee status, but the Egyptian convictions have caused his asylum case to stall. Abdellatif was convicted in 1999 in a mass trial of 107 men in Cairo military court. The trial was widely condemned, by Amnesty, Human Rights Watch and others, as a political show trial, that relied on evidence obtained under torture, and was contrived to marginalise Islamist political opposition to the Mubarak regime. In absentia, Abdellatif was convicted of premeditated murder, firearms possession, property destruction, membership of a terrorist group, and document forgery. In 2013, a Guardian Australia investigation into Abdellatif’s trial showed there was no mention of murder, weapons, or property destruction at his trial. The investigation resulted in Interpol dropping all convictions for violence against Abdellatif. Abdellatif’s original 1999 conviction relies on the evidence of five men also accused in the same mass trial (one of whom has since been hanged), an Egyptian army officer, and Abdellatif’s father. The evidence presented to the court alleges Abdellatif was a member of a terror network, Egyptian Islamic Jihad, that attended meetings of the group, and helped illicitly move money to members. Now, 2013 court documents – obtained by Guardian Australia, and that have also been provided to the Australian authorities – state that the admissions used to convict Abdellatif, including testimony from his father and brother-in-law, were obtained under torture. The documents have been verified by authorities in Cairo. The 1999 court documents state that Abdellatif’s father, Ahmed, told investigators his son had occasionally sent him money, usually in the hundreds of dollars, to be deposited in certain accounts, and that his son “belongs to a religious group but [his father] did not know the name of the group”. However, a testified declaration signed by Abdellatif’s father states: “I declare that all of what has been said as my words regarding my son… are incorrect and were said due [to] compulsion and torture by investigating authorities”. Abdellatif’s brother-in-law, Essam Abdel Tawwab, a co-accused in the 1999 trial, gave evidence then that Abdellatif was a member of Egyptian Islamic Jihad. Affidavits submitted to the Egyptian supreme military court from two more of the co-accused who gave evidence against Abdellatif state: “their confessions in this case were the result of severe torture and physical and moral compulsion that they were subjected to by the dissolved State Security Apparatus”. The State Security Investigations Service, the principal domestic security and intelligence agency of the Mubarak regime, and which conducted the investigation, was dissolved in 2011, after evidence emerged it was involved in “extraordinary rendition”, and tools of torture and secret cells were uncovered at its headquarters. In a 2012 re-trial of seven of the convicted men, Egypt’s supreme military court ruled on the evidence presented in the mass trial of the 107: “the claims and accusations against those accused are surrounded by thick layers of doubt and suspicion that weakens the evidence derived therefrom”. All seven were acquitted. An Interpol red notice on Abdellatif’s name still exists. It now lists convictions for “membership in a terrorist group” and “providing forged travel documents”, charges Abdellatif strenuously denies. The terror conviction relates to allegations that Abdellatif was an operative of Egyptian Islamic Jihad, of which he said “I have never been a member”. His only other purported “link” with terrorism was his employment by the Albanian branch of the Revival of Islamic Heritage Society. This was mentioned at his 1999 trial, but was not part of his conviction. Abdellatif left RIHS, an multi-national Islamic civil society organisation, in 1996. Six years later, in 2002 – and three years after Abdellatif’s convictions in Cairo – the Pakistan and Afghanistan branches of RIHS were proscribed by the United Nations after they were infiltrated by al-Qaida. Those branches alone remain outlawed. The UN’s Consolidated List of wanted terrorists and terror organisations states: “Only the Pakistan and Afghanistan offices of this entity are designated”. However, in 2008, the US government banned the organisation worldwide, alleging it “used charity and humanitarian assistance as cover to fund terrorist activity”. Abdellatif claims, while he worked at RIHS, the Albanian branch was “clear” and he never had any involvement in organising or funding terrorism. Abdellatif’s employment by RIHS has never been part of any conviction against him. No authorities have ever alleged his involvement with RIHS was improper, or linked to any terrorist activities. Abdellatif also denies the final Interpol conviction: providing forged travel documents. A report last year by Australia’s inspector general of intelligence and security found Abdellatif did not attempt to conceal, or lie about, his identity to Australian authorities at any time. Abdellatif has provided the Egyptian court documents, and translations, to Australian authorities. The Australian federal police said its inquiries were simply “to ascertain the identity of Mr Abdellatif”. The AFP directed all other inquiries on Abdellatif to the Australian Security Intelligence Organisation. Asio, however, refused to answer questions, saying it “does not comment on individuals or investigations”. However, a source with knowledge of the case confirmed Abdellatif remains the subject of an “adverse” security assessment by Asio, despite the withdrawal of all convictions for violence against him, and significant concerns over the fairness of his trial on other charges. Abdellatif’s wife and children have been refused protection visas but told by immigration they can live in the community. They declined, saying they did not want to be separated from their husband and father. From his detention compound in Villawood, Abdellatif told Guardian Australia he had been honest with Australian authorities “but they cheated me”. He said Australian Federal Police did not reveal to him the details of the initial “red notice”, and he was not told of the false convictions against him. “The first time I became aware [of the charges] was from the media. I was shocked. Abdellatif says he has lost faith in the Australian government, which he believes is keeping him incarcerated out of embarrassment at its own consistent mishandling of his case. The inspector general’s report from last year said Abdellatif was not a threat to national security. The report also heavily criticised Asio, the AFP and the immigration department for their handling of the case, saying the authorities lacked urgency, withheld information from each other, and made basic errors. This article originally appeared in The Guardian on the 16/1/15.